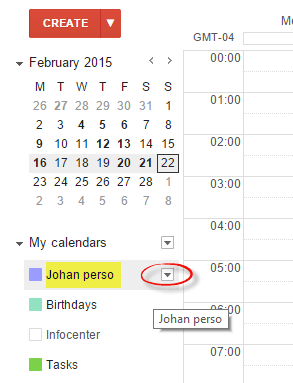 Find below the steps to share your Google calendar details with another account. 1. 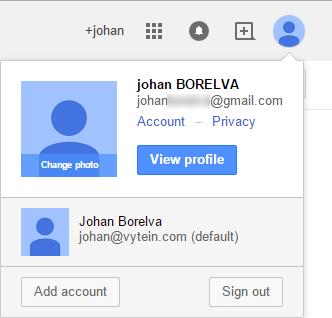 Log in with the account which calendars you want to share. 3. 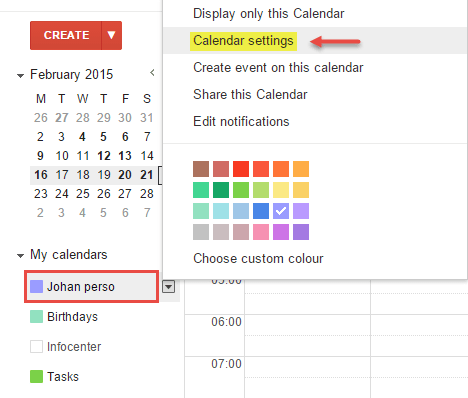 Then, click on “calendar settings”. 5. 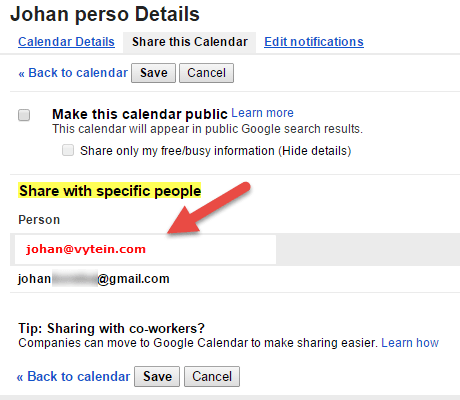 Identify “Share with specific people” and add someone’s email address, just under it. If you are sharing your personal account with your pro account in order to manage all these calendar within vyte.in , you have to choose the permission “see all event details” or the ones above.